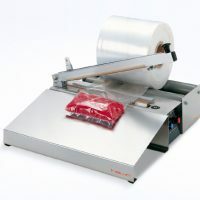 The Audion® Cello (150 C) 15 cm Hand Heat Sealer Machine unit with sealing tongs is perfect for projects that require a reliable portable sealer for mid volume Cellulose film sealing. Suitable for sealing cellophane, paper and thin aluminium laminate materials up to 250 µ micron. 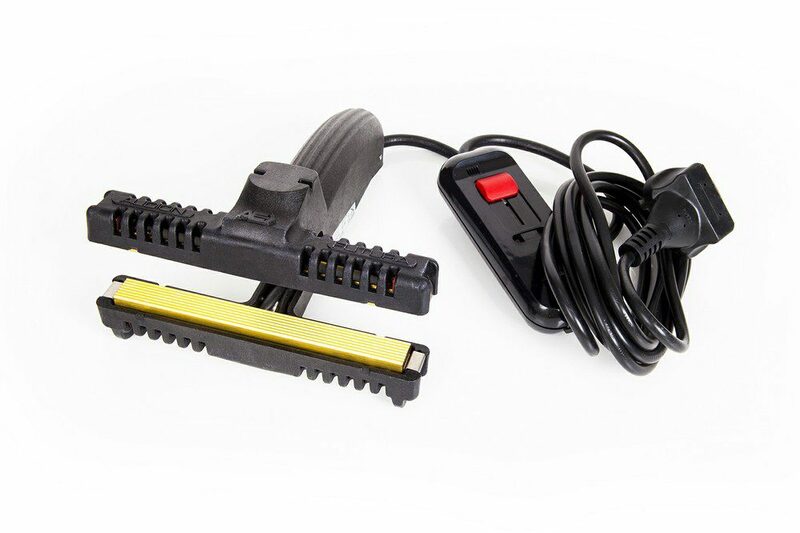 This machine is supplied with the standard UK 230/240V 3 pin plug. 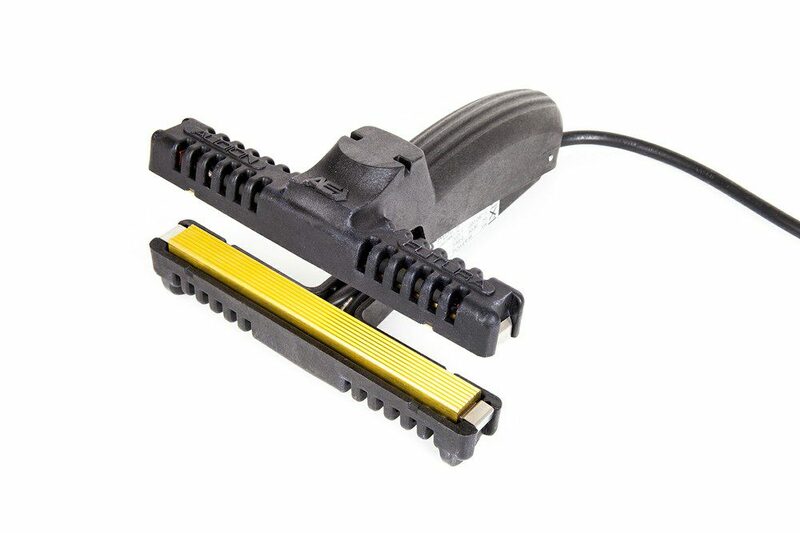 This Audion® Heat Sealer Machine features two parallel serrated jaws. It will produce optimal seals for materials like cellophane, waxed paper products and industrial export foils. Military specification barrier material are also sealable too. Paper, aluminium and other performance laminates may be suitable. Contact us to discuss this. These units are the preferred choice for clients looking to seal cellophane. Also suitable for barrier foil materials. This design is also known as the crimp sealer. Or crisp bag sealer. It has grooved Jaws. Also known as crimped. This sealing pattern also improves seal strength. Despite the premium build quality this heat sealing machine remains very cost-effective. This makes it ideal for businesses of all sizes. This model strikes the perfect balance between practicality, performance and price. Clients get piece of mind from the list of impressive features. These include a quick sealing time that performs very well for mid-volume bag sealing. The device can be fitted with a table clamp and foot pedal. This enhances performance further for even quicker and easier operation. 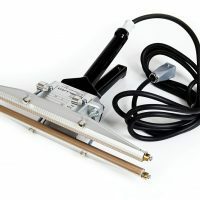 A Heat Sealer machine like this can be used for many sealing projects. It’s a popular choice for those running small businesses. Most uses for this model involve retail packaging sealing. Dried foodstuffs, powder products and sundries. Sealers as versatile as this are always finding new uses. 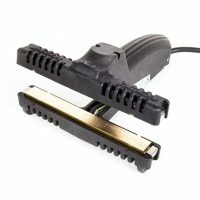 Easy to operate close and release mechanism. Length of seals 150 mm. Width of materials 10 mm. Warning – this product is intended for use by trained professionals and suitable qualified trades people. See here for health and safety information. 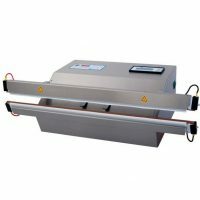 For more information on heat sealers please read our guide.